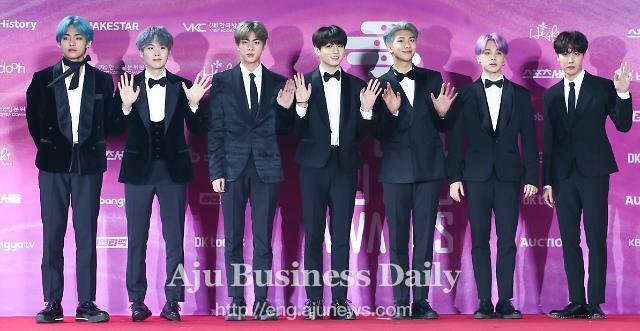 SEOUL -- Members of K-pop band BTS will go to this year's Grammy Awards, a major music event to be held in Los Angeles on February 10, as award presenters, the boy band's agency said. Big Hit Entertainment did not say which award the boys would present. Grammy, organized by the U.S. National Academy of Recording Arts and Sciences (NARAS), features various performances by prominent artists. 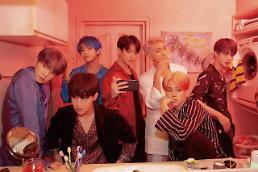 BTS has spent the most successful year of its career in 2018. 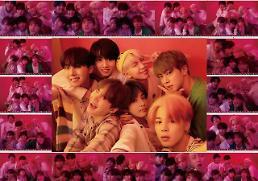 It released two albums -- "LOVE YOURSELF: Tear", "LOVE YOURSELF: Answer" -- which started waves of BTS fever that has swept across the globe, mesmerizing tens of millions of music fans. The boys won the Favorite Social Artist at the 2018 American Music Awards and Top Social Artist at the 2018 Billboard Music Awards.